Organic Valley, which bills itself as the largest cooperative of organic farmers in the United States, is using an outreach strategy that caters to consumers’ desire to know where their food comes from. Jana McClelland is a third-generation dairy farmer in Petaluma, Calif. This October, she expects 600 to 1,200 people to visit her family’s farm. She plans to take them to the nursery, the milking parlor and the pastures. 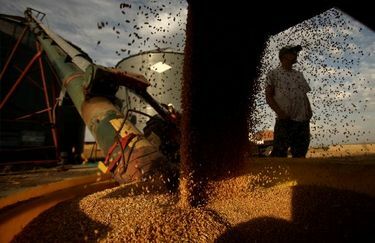 “We know people care where their food comes from,” she said. It is all part of an outreach strategy from Organic Valley, which bills itself as the largest cooperative of organic farmers in the United States. Call it table-to-farm marketing. According to the trade group, sales of organic food and nonfood products in the United States climbed to $44.3 billion in 2015 from $40.4 billion in 2014, which represents the industry’s largest dollar gain ever; $39.7 billion of last year’s total sales were for organic food. The association also said organic-food sales rose 10.8 percent in 2015. Organic-food sales make up almost 5 percent of the food sold in the United States. According to the trade group, millennial consumers, particularly in urban centers, are driving much of that growth. 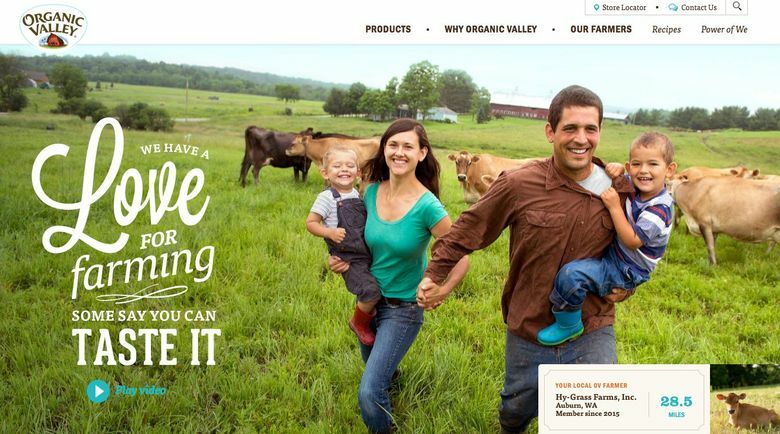 Organic Valley introduced its new website in April, with the goal of telling farmers’ stories and, in doing so, personalizing people’s consumption of organic products. The group was careful to make the website mobile-friendly, a vital quality since people often employ their phones to do research and share information as they shop for food. 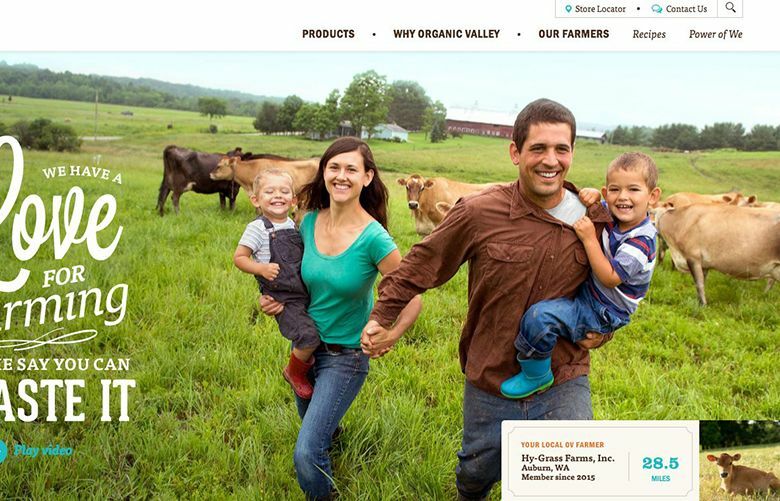 The site features a tool to help consumers identify local stores that carry Organic Valley dairy products, as well as stories about farmers across the United States who belong to the cooperative, and more than a dozen recipes for dishes that contain Organic Valley products, with new ones added twice a year. There are also new product and recipe photos by Jody Horton, a James Beard Award-winning photographer. Founded by seven dairy farmers in 1988 in La Farge, Wisc. (population: about 750), Organic Valley now counts as members more than 1,800 farmers, mainly in the United States. Of those, 1,456 are dairy farmers, 342 raise beef cattle and 174 grow produce. The members’ total sales for 2015 reached $1.04 billion. About 40 percent of the dairy produced by the cooperative is sold as bulk milk and other ingredients to manufacturers like Stonyfield, while dairy products made by Organic Valley and carrying its brand are sold by retailers including Whole Foods Market, Costco, Wal-Mart and Target, as well as by conventional grocery, convenience and specialty food stores. The cooperative, which for many years invited retailers and others in the food industry to visit its members’ farms, began offering free “farm discovery tours” to the public in 2014. This year it planned four: in Kutztown, Pa., and Kewaskum, Wis., in June; in Enumclaw, at the DeGroot Family Farm, in August; and in Petaluma, Calif., in October. The June tours catered to visitors from New York City, Philadelphia and Milwaukee, and the later tours are aimed at visitors from Seattle and San Francisco. Regina Beidler, who runs an Organic Valley dairy farm with her husband in Randolph Center, Vt., advises the cooperative on its marketing efforts in the eastern United States. She said the visits were a good way to get entire families excited about organic food. Farm visits also are central to Organic Valley’s new social-media efforts. The cooperative invited so-called social influencers like Eva Amurri Martino of Happily Eva After, Naomi and Josh Davis of Love Taza, and Naomi Robinson of Bakers Royale to participate in the Kutztown farm tour last month, and it plans to work with others in the future. The hope, according to Karen Zuckerman, chief creative officer of the agency HZDG, which worked with Organic Valley on its marketing strategy, is that the influencers will share their experiences on the farm with their many followers on social media, who will then investigate organic farming for themselves. “Our hope is by building the movement, our business will grow with it,” said Lewis Goldstein, vice president for brand marketing at Organic Valley, which is spending $500,000 to $1 million on the new website and social-media initiatives.